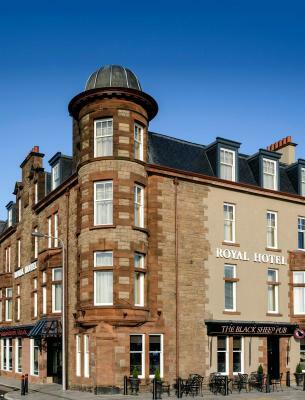 Lock in a great price for The Royal Hotel Campbeltown - rated 9.1 by recent guests. We liked the location and found the staff friendly and helpful. The room had a lovely view of the harbour. Beautiful room. Elegant & luxurious. Fabulous furnishings. 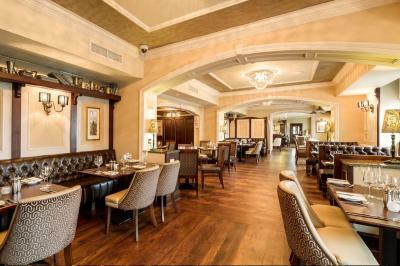 Good restaurant. The room was so clean and comfortable with spectacular views! 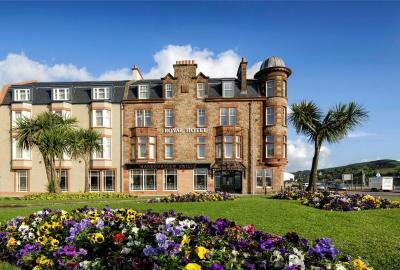 Lovely hotel in a great location looking on to the promenade. Polite, friendly and professional staff in all areas. 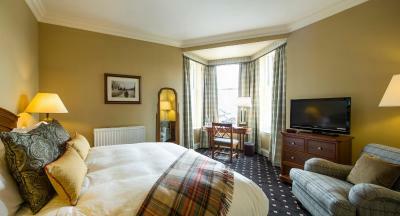 Large room with two comfortable armchairs. Some hotels we have visited only provide one chair in a double room! Room was spotlessly clean. Large bathroom with bath and separate walk in shower. Very generous breakfast portions. 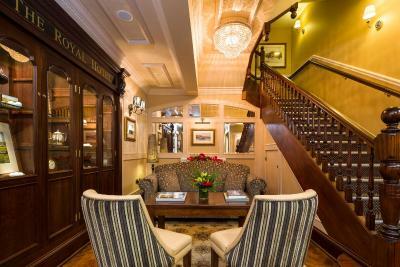 Would definitely recommend The Royal Hotel to friends and hope to visit again. 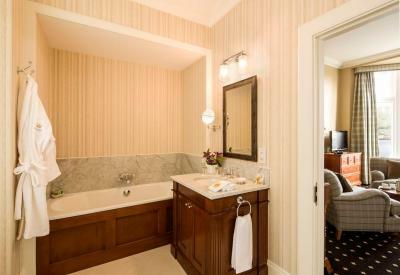 It was a wonderful spacious room with equally spacious bathroom. Looked fresh ideal for a short break. Location excellent. Staff friendly and very helpful. Fantastic breakfast,well cooked and plenty of it. Good choices,if not what you wanted they would prepare your request. Beds really comfortable. I would have preferred an arm chair in the bedroom. There was room for one. Very clean, spacious and comfortable room. 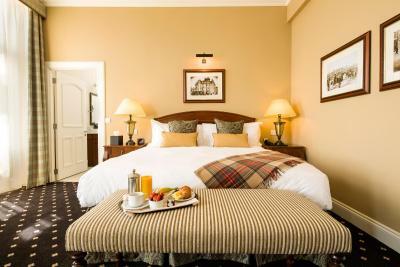 Excellent bed +pillows , good breakfast. Courteous and attentive staff. 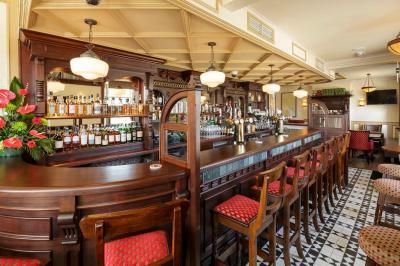 Chatty bar on ground floor. Easily available parking. 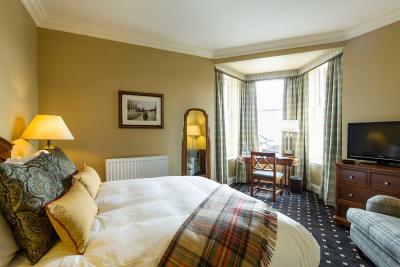 The room was excellent,staff were helpful and friendly the breakfast was freshly made and amazing quantity . 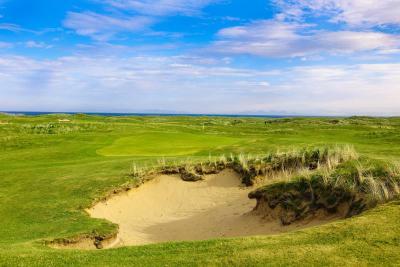 Boasting a beautiful location next to the harbour, with rolling hills in the distance, this hotel is 5 miles from Machrihanish in the heart of Campbeltown. 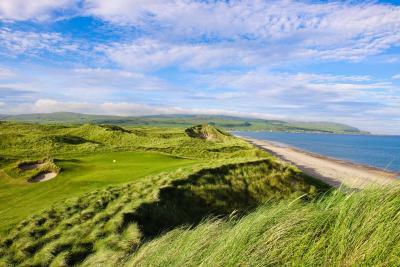 There is free Wi-Fi throughout, and a free shuttle service to the dunes and Campbeltown Airport. 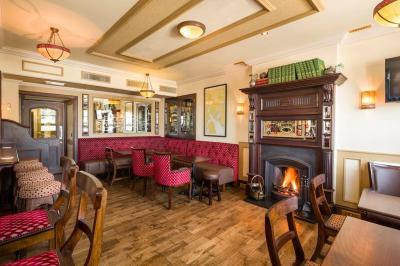 The Royal Hotel is also home to The Black Sheep Pub and the elegant Harbourview Grille, where guests can enjoy steaks, seafood, fine wine and beer. 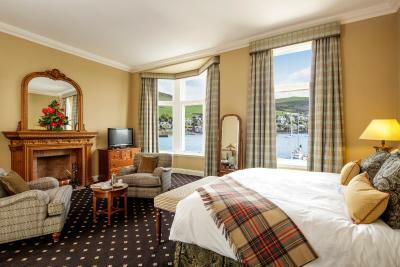 Rooms are elegant and stylish, with picturesque harbour views. Features include a flat-screen HD TV, and an en suite bathroom with Out of Eden toiletries. 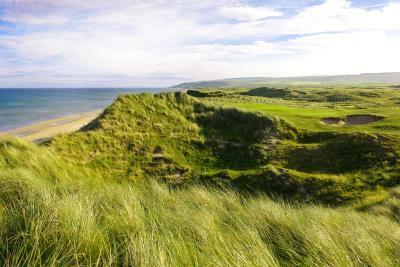 Guests at The Royal Hotel receive discounted rates at the Machrihanish Dunes Golf Club, 5 miles from the building. 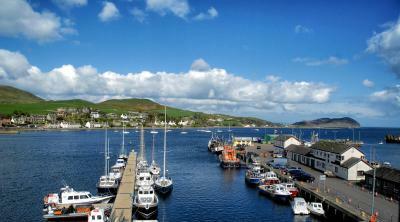 This property also has one of the best-rated locations in Campbeltown! Guests are happier about it compared to other properties in the area. 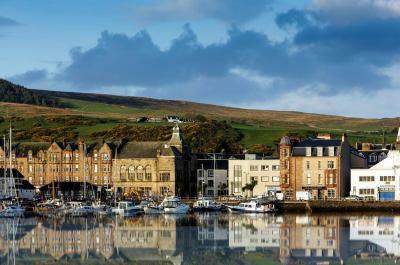 The Royal Hotel Campbeltown has been welcoming Booking.com guests since 4 Jan 2013. When would you like to stay at The Royal Hotel Campbeltown? 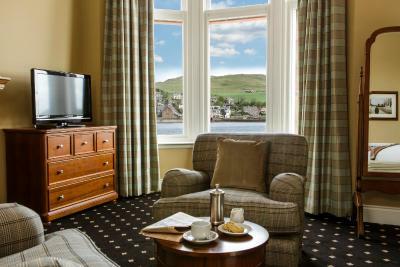 With views of bustling Campbeltown Harbour, these elegant rooms feature a flat-screen HD TV, and a cosy seating area. Some benefit from a fireplace, and most offer a spacious bath as well as a shower. 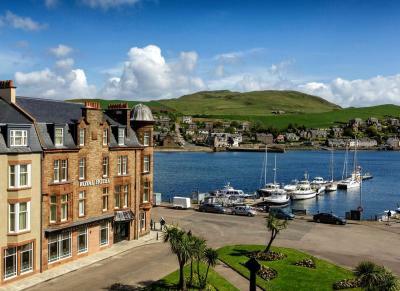 Features include a flat-screen HD TV and views of Campbeltown Harbour. 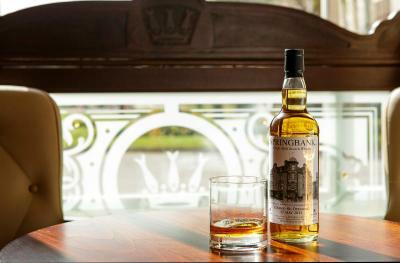 House rules The Royal Hotel Campbeltown takes special requests - add in the next step! 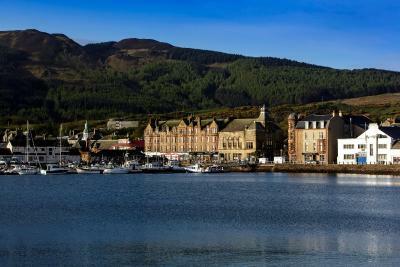 The Royal Hotel Campbeltown accepts these cards and reserves the right to temporarily hold an amount prior to arrival. The only thing that we weren’t happy about was the steep prices of the drinks. £8.50 for a large Malbec is a bit excessive in the public bar and £8.95 for a drambuie? No heating or heated towel rail in the bathroom. Draughty windows in strong winds, despite appearing to be new. 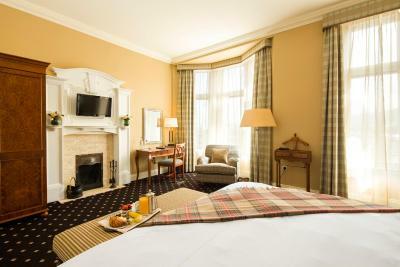 Very comfy bed, nicely refurbished hotel, good food and very friendly staff. The price was quite high for off season. 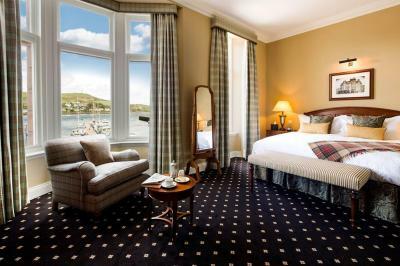 Nice spacious room overlooking the Harbour. The mattress and pillows were nice and firm. Good restaurant and location. breakfast, not very good , eggs tasted microwaved and sausages felt deep fried, left most of it. Loved it stayed there a few times. No complaints , the hotel was ideal for our purposes.